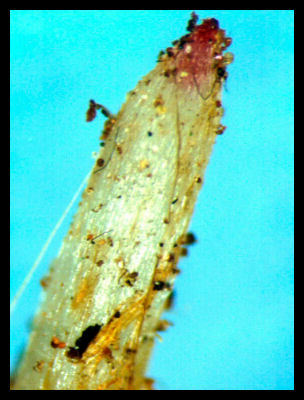 Here is a picture of a growing root tip. This picture was from my backyard in Maryland. Dr. Shigo had better microscopes and cameras. The next two images are from his CD Set. 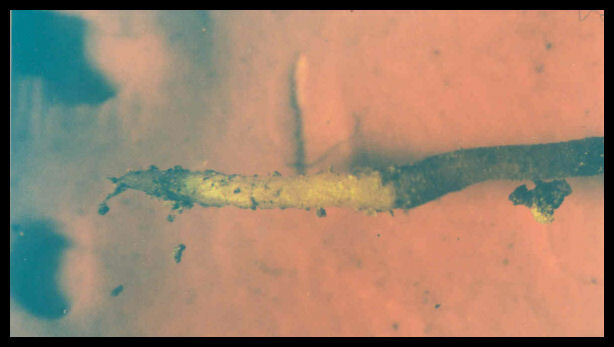 Note the growing non-woody root has root hairs on the right. Not to be confused with a mycorrhiza. 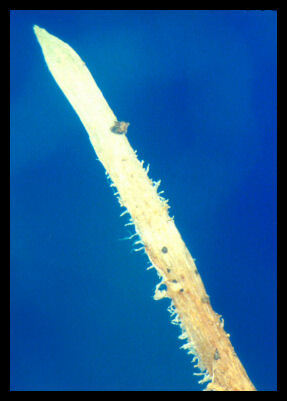 Growing root tips are pointed and mycorrhizae are rounded like little bulbs. Remember roots grow from meristematic points. Roots do not have buds.